Agile marketing attribution, marketing mix modeling and optimization. 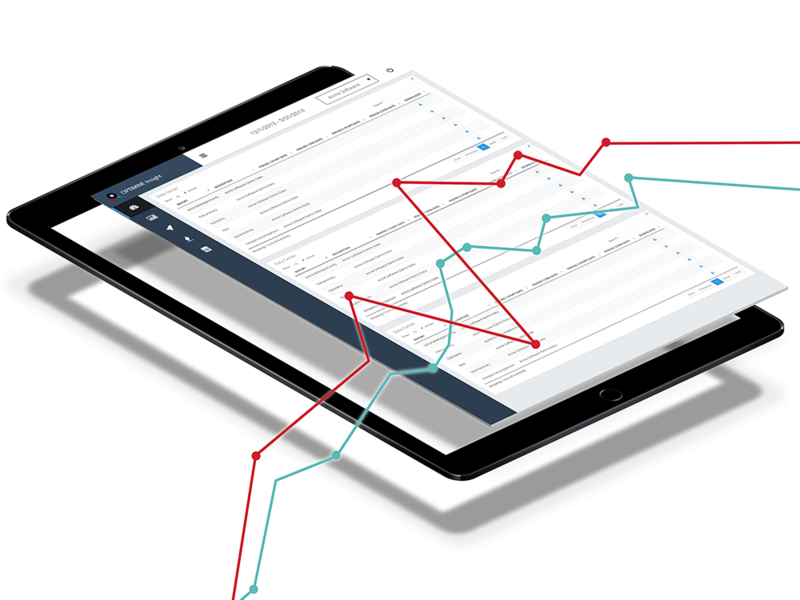 OptiMine provides the fastest, most actionable cross-channel measurement for all digital and traditional marketing across any online and offline conversion points. Complete cross-channel marketing attribution for your Google, Facebook, DoubleClick, Yahoo and Bing campaigns in 1 week. OptiMine has the fastest implementation in the market, getting you to higher ROI faster than any other solution. Only OptiMine measures both digital and traditional marketing channels down to individual ads and campaigns. Models are rebuilt on the fly, keeping you current with the market, and ahead of your competition. Learn more about how OptiMine measures the cross-channel performance of all your marketing- digital and traditional, across all of your online and offline conversions. OptiMine Insight and Intent work together to measure the contributions and value of all campaigns and then guide you to an optimized media plan and marketing budget to achieve marketing performance lift. Know which ads and campaigns are contributing the most (and least) and take instant action to lift performance. 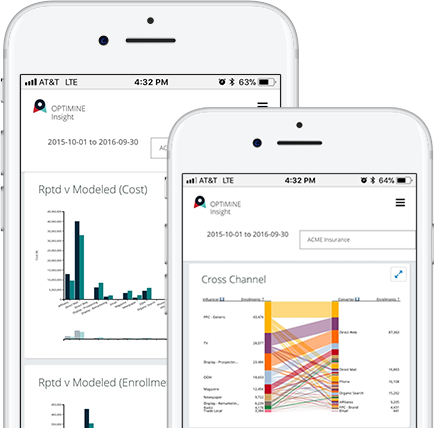 Combine your goals and budget targets with OptiMine's cross-channel models and measures, and receive media and marketing plans that guide to the highest performance. The most actionable guidance in the market- unified top-down strategic planning with bottom-up tactical guidance. The fastest marketing planning & budgeting- getting the best marketing budget and plan in a fraction of the time. Prove the value and impact of your spend, with comprehensive cross-channel measurement & forecasts. Run multiple "what-if" scenarios to collaborate with marketing teams and external partners. The most sophisticated and modern technology- using AI, machine learning and cloud computing. Accurate, high confidence results, running hundreds of millions of simulations to discover the best answers. Those who know OptiMine best have great things to say about OptiMine. OptiMine gave me the insights to convince finance to invest more heavily in digital, and when we did, the lift we generated was what OptiMine forecasted. OptiMine not only shows me the cross-channel value of my display advertising, it goes straight to action to maximize ROI across all of our digital channels. Our last marketing mix vendor recommended increased TV investment. OptiMine had much more detailed recommendations across our markets, TV spots and creative, so we tested this in-market. OptiMine won. And it was worth $18 million in operating income. Recent OptiMine news announcements and media coverage from around the web.